Janet Mills speaks at a press conference. Photo courtesy Janet Mills Facebook page. AUGUSTA – With state revenue surging in the final months of Paul LePage’s time as Governor, liberal public policy and special interest groups are lining up to push for large spending increases for their favored programs ahead of returning that surplus revenue to taxpayers in the form of tax relief. In total, the projected $362 million in increased surplus revenue just released by the Maine Revenue Forecasting Committee equals about $850 each for the 424,000 Maine middle-class families earning between $26,500 and $138,000 per year, according to the state’s most recent tax incidence tables. It is likely that the Mills administration is more inclined to look for ways to spend that surplus revenue based on the many campaign promises Mills made, including expanding Medicaid under Obamacare, which is expected to cost the state tens of millions to get the program underway before any federal matching funds kick in. The liberal Maine Center for Economic Policy, an influential group in Democratic budgeting and policy circles, released a statement saying the surplus revenue is still not enough to fully fund the key services they believe are necessary, specifically pointing to a report calling for $643.5 million in additional spending in just three programs. MECEP also claimed in the report that the LePage tax cuts had somehow cost the state nearly $1 billion while at the same time making suggestions to liberal policy makers on how to spend Maine’s record revenue increases, so it is likely they would oppose any additional tax relief. Despite the surging revenue, some liberal lawmakers are pushing for a local option sales tax, while municipal governments are calling for increased funding for revenue sharing in the tens or hundreds of millions of dollars. 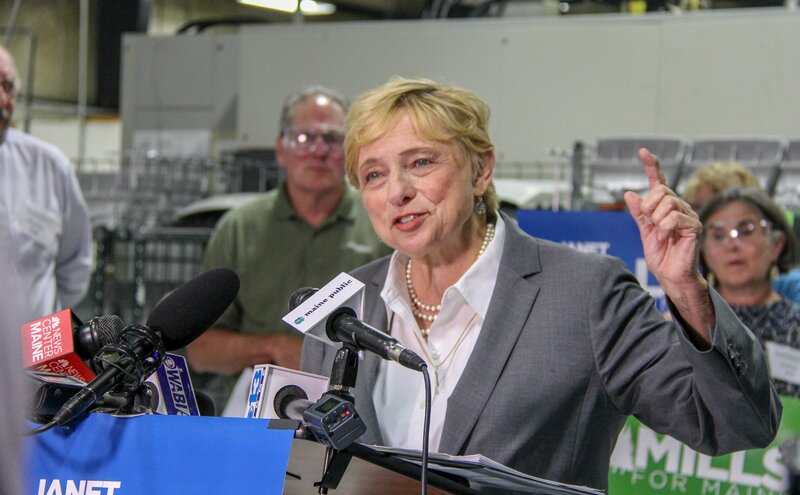 As Governor, Janet Mills will face a difficult balancing act. Her own promises on the path to the Blaine House far exceed any surplus revenue she will have in her first two-year budget proposal, but newly elected liberal Democrats in the House and Senate certainly have a large spending wish list as well. While Mills may be pleased to have Democrat majorities in the Legislature, it is likely that many of those lawmakers she sees as allies now will push for spending that could imperil Mills’ agenda, or the balance of the state budget in the long term, even if her own initial spending package doesn’t. In the meantime, the taxpayers of Maine will watch and wait to see whether they will reap the benefit of Maine’s surging economy in the form of tax relief, or if the Mills administration instead chooses to boost spending and try to deliver on as many special spending promises as possible in the upcoming biennial budget.